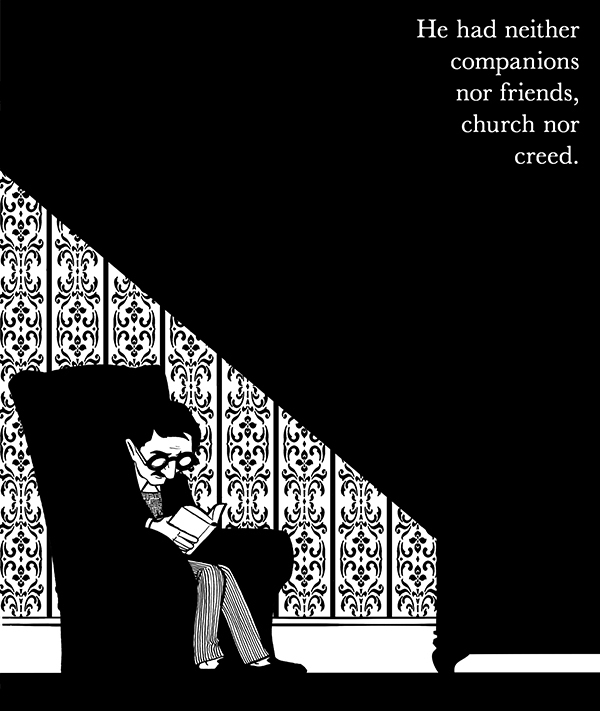 As my small contribution to Bloomsday, here’s one of my illustrations for Dubliners, for a new edition that will be published later in the year by de Selby Press. This one is from “A Painful Case”. If you follow me on Tumblr, you might have already seen this one, but I promise I’m going to be posting lots more next month. Happy Bloomsday!